If you are booking a block of rooms for 10 or more guests for a wedding, let us help! VISIT DENVER is ready to assist you with all your wedding service needs. Planning a wedding in Denver? 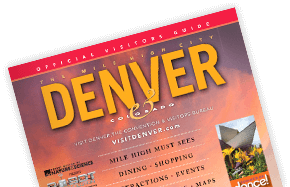 Request a copy of our Destination Planning Guide to find local wedding venues and services for your dream Denver wedding. Marketing Denver to your wedding attendees has never been easier. Order items such as promotional brochures, photos and pins.